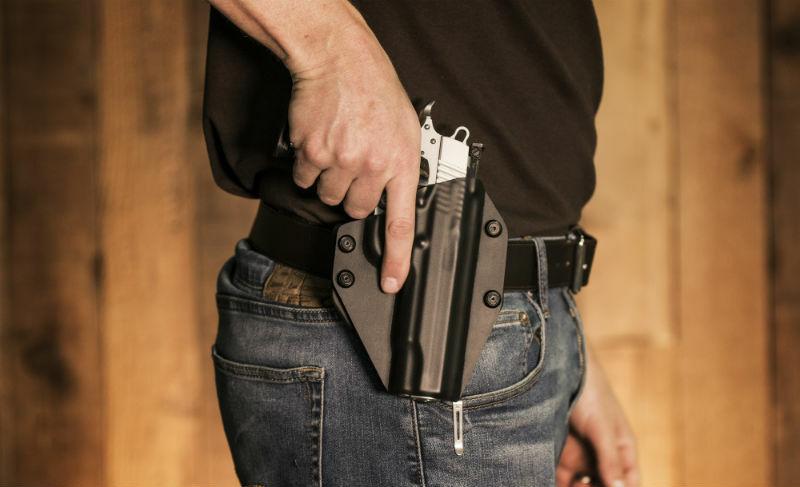 When it comes to holster selection, there are a lot of people that will tell you that reholstering or more to the point, reholsterability, is one of the most important aspects of choosing a gun holster. Is it though? It's more accurate to say that reholstering can be very important, but not in every context - there are ways in which it doesn't matter at all. Granted, gun belt selection will always matter, so make sure you pick a quality belt for carry. 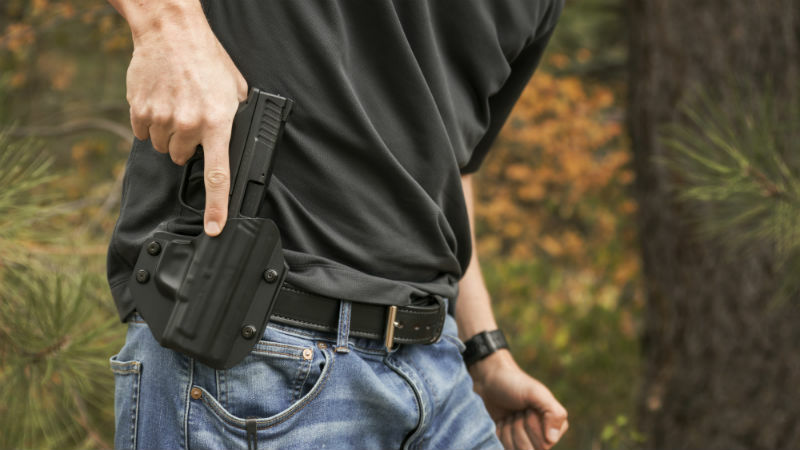 There is a very good reason why a good carry holster making reholstering easy is important - namely that it lets you put a gun back in the holster with ease. Naturally, that's a good attribute in any holster, be it an IWB or OWB hoslter. For the civilian carrier, reholstering should be a part of shooting practice, either consciously as part of a whole sequence of actions (draw, shoot, scan and reholster) or non-consciously, because - and this is the important part - practicing the draw is of vital importance. In other words, a person should practice drawing their pistol, bringing it to bear on the target and firing. The fast a person becomes, the faster they'll be able to perform this action if they ever have to draw and fire in a real life-or-death situation. To practice, you need repetition and repetition of the draw requires reholstering a pistol. Ideally, a person will carry using the holster they practice with. That way - and hopefully it never happens - if a person has to use their gun in defense of themselves or someone else, muscle memory can take over without any hangups. Seconds can matter. Naturally, those are all good reasons why reholstering is important. On it's face, reholsterability is important for the above reasons, but is there a context or setting in which it's not important? There actually is. Outside of shooting drills at the practice range, the civilian carrier may not have to worry that much about reholstering. 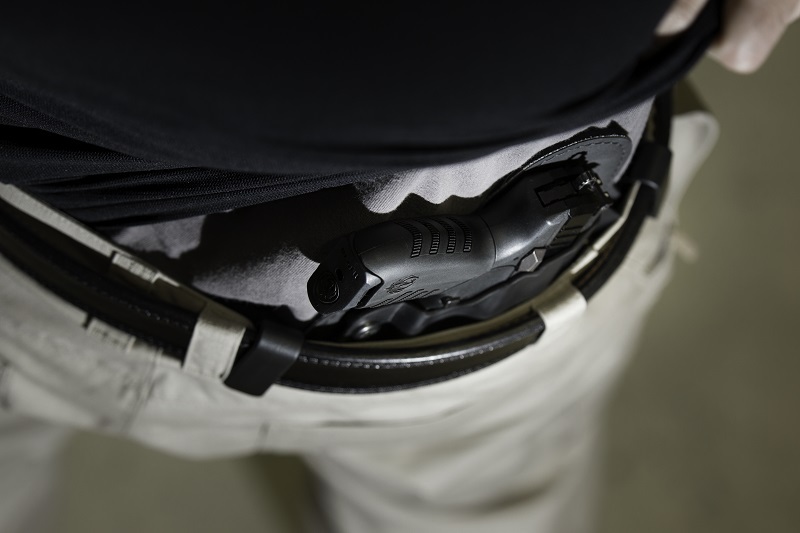 Being able to easily reholster a weapon may matter a lot more to people that carry a gun for professional reasons, such as law enforcement or military personnel. Obviously, what's needed from carry gear is somewhat different than what's needed for a civilian to carry. Most of us really only need a holster to adequately retain a pistol and adequately cover the trigger guard. You may conjure images in your head of expertly drawing a pistol, shooting down a bad guy and returning the gun to the holster. It might happen that way, but you need to forget what you see in the movies and television. The next thing that happens after shooting a criminal is going to be an encounter with police, since they tend to show up to the scene of a shooting. At that point, a number of things might happen. You may be asked to place the gun on the ground, you might not. You might be arrested and then again you might not. In fact, it might be advisable to place a gun on the ground and wait for police to arrive. Besides, if an assailant or robber is downed by the gunshot, who cares if reholstering is a pain? What if, though, a person has to draw their gun but doesn't have to fire, and the bad person runs off? Brandishing - showing a person a gun to intimidate them - is a misdemeanor, unless a good-faith basis can be established that one feared for life and limb. In any case, if said bad person runs away...so what if it takes an extra few seconds to reholster? In a holster that you use at the range, to practice drawing and firing...reholstering absolutely matters. Outside of that...it doesn't matter quite as much. What matters in a good holster is retention and trigger guard coverage. So does comfort and ease of carrying - that's why a number of "sticky" fabric pancake holsters have become very popular. There are also a number of leather IWB pancake holsters available as well. 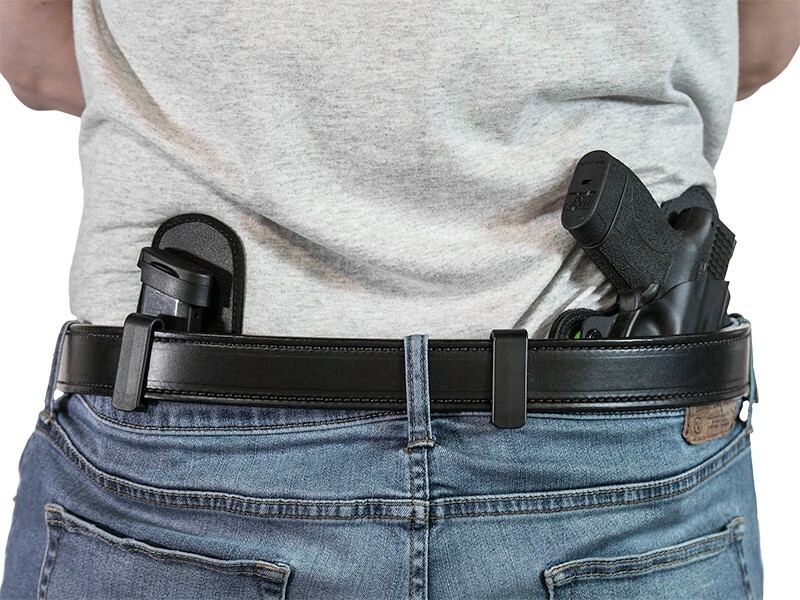 They're easy to carry - just stick them in the waistband - and aren't as obtrusive as other holsters can be, but reholstering isn't as easy as with OWB holsters or IWB hybrid holsters. Honestly, a person should carry with whatever does the job right and is comfortable. If reholstering is what suffers, it isn't the end of the world.